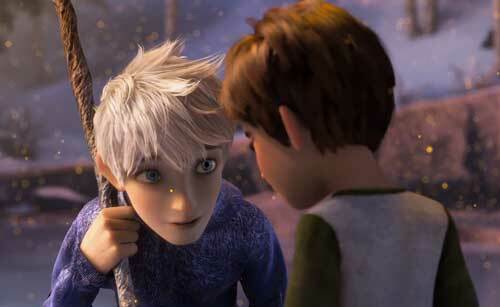 Jack Frost, Santa Claus, the Easter Bunny and Tooth Fairy aren’t just myths in DreamWorks Animations’ Rise of the Guardians. In the movie, the children of Earth are being attacked by the evil spirit Pitch (voiced by Jude Law, Hugo). So the immortal guardians — Jack (Chris Pine, People Like Us), Santa (Alec Baldwin, Rock of Ages), the Bunny (Hugh Jackman, Les Miserables) and the Tooth Fairy (Isla Fisher, Bachelorette) — join forces for the first time to protect the children and defeat Pitch. Based on the book by William Joyce , Rise of the Guardians was directed by Peter Ramsey (Monsters vs Aliens: Mutant Pumpkins From Outer Space) with a screenplay by David Lindsay-Abaire (Inkheart). The DVD and Blu-ray/DVD Combo sets also are available in packs with two wind-up hopping Easter eggs.